You guys, I found The Waking Forest to be a combination of one of the most mind-boggling, creepiest, and eeriest books I have read in a long time. Told in chapters with alternating settings, this book was like reading dark fairy-stories within other grim fairytales. The novel truly felt like a web of dreams within nightmares within dreams. I have a strong fascination with fantasy books set in dark forests, and I loved how The Waking Forest used the forest as an entity to thicken the plot and mold the most magical scenes. Sometimes the highly decorated language was jarring and puzzling because it was literally being told through the character’s own eyes, which often stilted some scenes for me. But overall these specific instances kept me entranced by well-kept secrets and the yearning to know what was going to happen next. Overall, The Waking Forest is truly a dark and spellbinding novel. Once I was used to the alternating chapters and the multiple character perspectives, the book became a constant page-turner. The twisted lore and fascinating character development created a hint of mystery, and the unraveling of fantastical secrets was a constant eyeopener. Purple prose decorates the story with vivid imagery and unbelievable scenes filled with fox pets, undiscovered constellations, and tasty wishes that melt on your tongue. Family, friendships, sacrifice, and self-acceptance are important themes that allowed this story to grow into its own form of a memorable fairy tale. Note: Thank you to the The Fantastic Flying Book Club for having me on this blog tour. And a huge thank you to Delacorte for providing me an ARC to read and review for free in exchange for an honest review. All statements and opinions are my own. Please note that all quoted material are not final and may change in the final publication of the book. Friday Raves & Giveaway: Dumplin’ is now on Netflix! NOW a Netflix film–featuring Jennifer Aniston, Danielle Macdonald, and Dove Cameron, as well as a soundtrack from Dolly Parton! 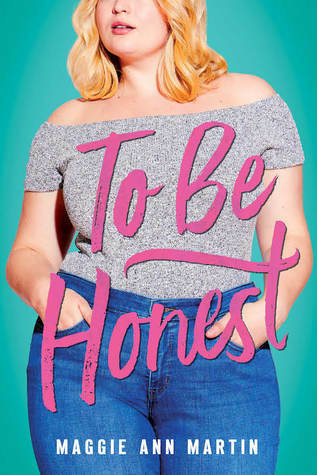 The movie tie-in edition of the #1 New York Times bestseller and feel-good YA of the year—about Willowdean Dickson, the fearless, funny, and totally unforgettable heroine who takes on her small town’s beauty pageant. 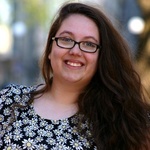 Julie Murphy is the leading voice in body positivity for teens in the YA space. Willowdean is a heroine rarely seen in teen books and movies—she is confident and unafraid. Her struggle with body image issues is a subject every teen can relate to. 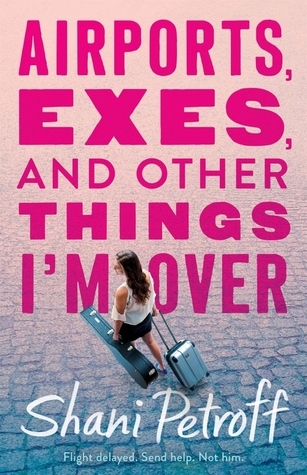 But Will doesn’t have to lose weight to be happy at the end of this book—or to fall in love. You guys! One of my favorite books of 2015 is now a NETFLIX movie! AHHHHH!!! I teamed up with the amazing Wunderkind-PR and we are giving away a free copy of the paperback movie tie-in book. Dumplin’ was previously released in 2015 and is a New York Times #1 bestseller. With starry Texas nights, red candy suckers, Dolly Parton songs, and a wildly unforgettable heroine—Dumplin’ is guaranteed to steal your heart. Please note that Wunderkind-PR is kindly giving away a movie tie-in edition of Dumplin’. Open to all US residents. All you need to do is Retweet my tweet, and I will pick a winner Friday, December 14. And if you win, the book will be sent by Wunderkind-PR straight to your mailbox. How awesome is that, Y’ALL?! HAPPY DUMPLIN' DAY, Y'ALL! I teamed up with Wunderkind PR to help celebrate the release of Dumplin' on Netflix and we are giving away a free copy of the paperback movie tie-in book! RETWEET this tweet and I will pick a winner 12/14. Julie Murphy lives in North Texas with her husband who loves her, her dog who adores her, and her cats who tolerate her. After several wonderful years in the library world, Julie now writes full-time. When she’s not writing or reliving her reference desk glory days, she can be found watching made-for-TV movies, hunting for the perfect slice of cheese pizza, and planning her next great travel adventure. She is also the author of Puddin’ and Side Effects May Vary. 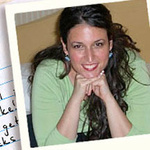 You can visit Julie at www.juliemurphywrites.com. Once again, Kerri Maniscalco has astounded me with her storytelling. I cannot and will never get enough of Audrey Rose Wadsworth and Thomas Cresswell. I love the chemistry between these two characters, their banter, and how Thomas, truly a Victorian gentleman, always treats Audrey Rose with respect and as an equal. They are my ultimate OTP. Now in Escaping from Houdini, things are shaken up between these two and I’m not going to say I was the hugest fan in riding those waves, but when these two characters are on the same page with each other, their partnership is outstanding. I love that Escaping from Houdini stays true to the first two books and portrays feminism in the best light. 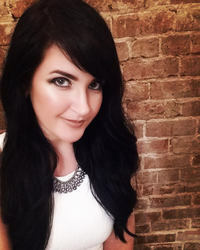 As the main female lead, Audrey Rose Wadsworth is witty, sassy, and so intelligent. She defies many characteristics of a stereotypical Victorian woman, and instead is a proto-feminist of the era. I love that she is deep into solving mysteries and murder with science and rational deduction. She wants to know the truth and how things tick, and she is not afraid to dig deeper into danger to find her answers. Overall, the setting of this novel made the mysterious story even more intriguing. I was captivated by the details of Victorian fashion and mannerisms, as well as the illusions and magic of the traveling carnival performers and entertainers on board a ship. Mix in history, quirky banter, the sleuthing of Sherlock Holmes, the atmospheric allurement found in Caraval, and you have Escaping from Houdini delivering on all levels of entertainment, education, fascination, and mystery. Note: Thank you to the The Fantastic Flying Book Club for having me on this blog tour. And a huge thank you to Jimmy Patterson Books for providing me an ARC to read and review for free in exchange for an honest review. All statements and opinions are my own. Please note that all quoted material are not final and may change in the final publication of the book. 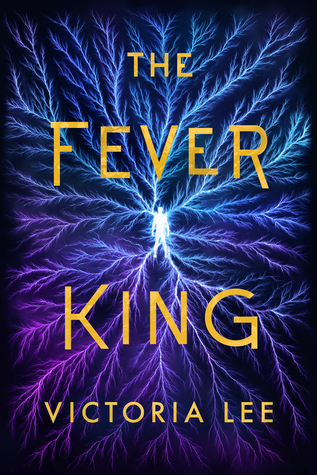 There’s something dark and eerie about Meg Kassal’s storytelling, and when it comes to her atmospheric companion novel Keeper of the Bees, Kassal does not disappoint in giving her readers the creeps and the chills. Paralleling the the same fantasy world of her first novel Black Birds of the Gallows, Keeper of the Bees focuses on a beekeeper, Dresden, along with other paranormal beings like the harbingers. At the very beginning of the novel, Dresden’s cursed life is shifted and it is all because of Essie, a human who chews peppercorns to stop hallucinations and delusions. But the sudden burst of pepper, does not halt this teenager from seeing Dresden for what he really is: a creature that wears the many faces of his victims that have gone mad and died due to his venomous stings. I really enjoyed the banter and conversations that are ping-ponged back and forth between these two unusual characters, Essie and Dresden. While one thinks he is a monster, a beastly being, the other finds him “pretty” but doubts herself because she suffers from a family curse which is treated like a mental illness. There is an instant bond between these two characters. It starts with fascination, turns into friendship, and develops into romance. 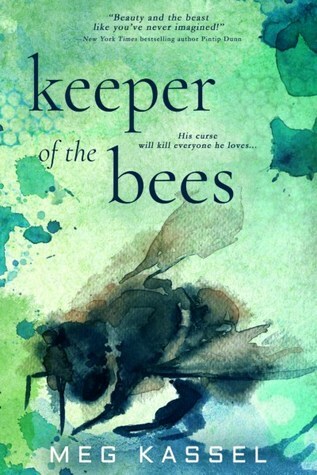 Keeper of the Bees is also a very fascinating read because Kassel creates her own legends and fantastical foundation. This book reflects some similar characteristics of traditional young adult paranormal books, but Kassal also gives a unique take on her own monsters and myths. I honestly love that her beastly characters heighten my sense of wonder but they are also so freaking creepy. If you are fond of books with a bit of mystery, myth, romance, paranormal elements, and a hint of horror, Keeper of the Bees is the right book to add to your TBR. The story is well-paced and I liked that the characters are challenged to face their own personal demons and actual monsters of the world. In To Be Honest, I adored the main character Savannah. She is fat and healthy and proud of all her successes. 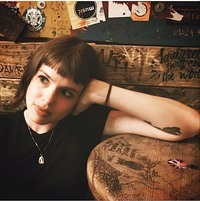 Yes, she is apprehensive about big life changes and possibly dating, but this young adult rocks at math, journalism, and being an amazing friend, sister, and daughter. I loved that Savannah is bold and funny; I love that she is determined and 95% of the time says what is on her mind. One of my favorite parts of this novel is that the book focuses on Savannah’s internal thoughts and doesn’t sugarcoat her flaws and struggles. Instead, we are there for every verbal fight with her diet-obsessed mom, every tear-stained mascara mark, every sloppy kiss from a handsome poodle, and every laugh between half pepperoni half pineapple pizza-loving friends. I adored this book so much; every page was like a comforting hug of support and love. If you are fan of realistic high school stories, tulle skirts, and watching young love struggle to ignite, definitely give To Be Honest a read. I loved the story and the characters and of course the white poodle named Fiyero. Maggie Ann Martin hails from Iowa City, Iowa but moonlights as a New Yorker. She has a shiny new BA in English and Journalism from the University of Iowa, the most welcoming literary community in the world. When she is not writing, you can find her binge watching TV shows or passionately fangirling over fictional characters on the Internet. The Big F is her debut novel. A bad storm, two canceled flights, stuck in an airport with a hot stranger and the guy who broke her heart… what could go wrong? After Sari caught her boyfriend Zev cheating on her, their romantic Florida vacation was ruined. She can’t get back to NYC soon enough. Unfortunately, mother nature may have different plans. A huge storm is brewing in the Northeast, and flights all over the country are getting canceled—including Sari’s. She winds up stuck at the airport for hours. With Zev! Wow! I found this book to be a super quick and engaging read. Even though Airports, Exes, and Other Things I’m Over spans over a week, Sari and Zev’s story definitely encompasses so much to unravel. And you know that saying, “when it rains it pours”? Well, when it came to Sari’s spring break and her one shot to sing at a local club, anything and everything seems to go wrong in the span of a few days. One of my favorite characters in the book was Zev. I loved that his goal was to explain any misconstrued situation, so Sari knew the facts and the truth. Sari tended to overthink everything and failed to see that there are several sides to a story. It’s smart for Sari to protect herself first, but I knew there were some holes in her observations. Throughout the story, Zev is always trying to open communication between him and Sari, and it’s so adorable how he always tries to make sure that she is okay and comfortable. I liked that Zev gave Sari room to think and breathe when anything dramatic blew up, but he was also determined to fight for the truth, their friendship, and ultimately love. The plot of Airports, Exes, and Other Things I’m Over relies heavily on lack of communication and misunderstood situations. I’m not a huge fan of books that have so much “lack of communication,” but this plot devise definitely keeps the reader on the edge of their seat. If you love A LOT of drama in your stories, which definitely keeps the story rolling, give Airports, Exes, and Other Things I’m Over a try. This book is such a fast read and the ending is so swoony.